J.T. Robinson: Party...at Wilmot Mt....12/16...8pm...Stoked! "Wilmot, Wisconsin? Are their mountains there?" This is a standard chairlift reply I get for my answer to the equally standard chairlift question, "Where are you from?". I always have to explain that the part of Wisconsin that cultivated me is a landscape of rolling hills blanketed with thick forrest land. Farming has cleared the flatter expanses, and the Dairyland is still a fitting nickname. The terrain and the local culture resemble the region's laid back nature. However, "Old Man Winter" is as mean and unforgiving as anywhere on the habitable earth. Thus, winter recreation of all kinds is alive, well, and appreciated in these parts. 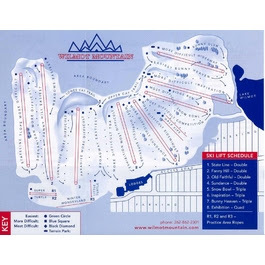 ^Wilmot Mountain is my hometown ski resort built upon an ancient glacial moriane. It is nestled perfectly between Milwaukee and Chicago in it's namesake small town of Wilmot, Wisconsin. The severe cold temperatures gave way to revolutionizing the man-made snow making process here. My family history in Wilmot goes back just as many icy generations. To this day, the chairlifts retain upholstery my grandfather stretched onto them many bitter winter seasons ago. The hardworking folks of Wilmot Mountain are my people. Both literally and figuratively. The old Wilmot Highschool gymnasium soaked up a lot of my blood and sweat. This all adds to the experience each year when I bring my latest ski movie projects back home for a ski movie tour party at Wilmot Mountain every winter. 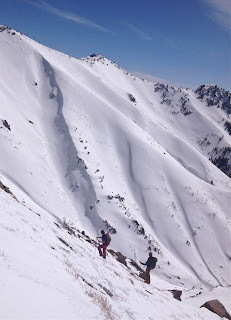 I have been looking forward to my return again this winter. Friday night, December 16th is the date this year. I am so jacked to see all of my people start rolling in when the doors open at 8:00pm. Telemark Skier Magazine is bringing the new movie, "Loyatly" to town, and it is sure to bring some rock and roll to the party. Wilmot can handle the rest. ^They always fill the Iron Kettle Bar at Wilmot Mountain. I've been bringing a movie party home for years now, and I am always still touched deeply at the sight of all the local love that comes out to celebrate with me. I like to think that we all come together to throw a pretty damn good party too. ^The snow machines are usually blowing snow outside as the Iron Kettle packs full of jubilant folks of all ages that are ready to celebrate another winter. The kids line up for stickers as others line up for a beer. All of them a blessing that never falls short on me. It makes me nostalgic each and every time. The movie always stokes the fire, but the Wilmot folks add the fuel that makes the party burn warm and bright all night long. December 16th is only weeks away, and I am chomping at the bit to ring in another winter with all of my favorite kind of people in the place that built me...Wilmot, Wisconsin. ^I am coming home. On Friday December 16th to be exact. I can't wait to see the bright lights of Wilmot on the horizon. There really is no place like home.